By Austin standards, temperatures for spring and summer of 2014 have been mild to downright cool. While still drier than normal, there has been some rain. 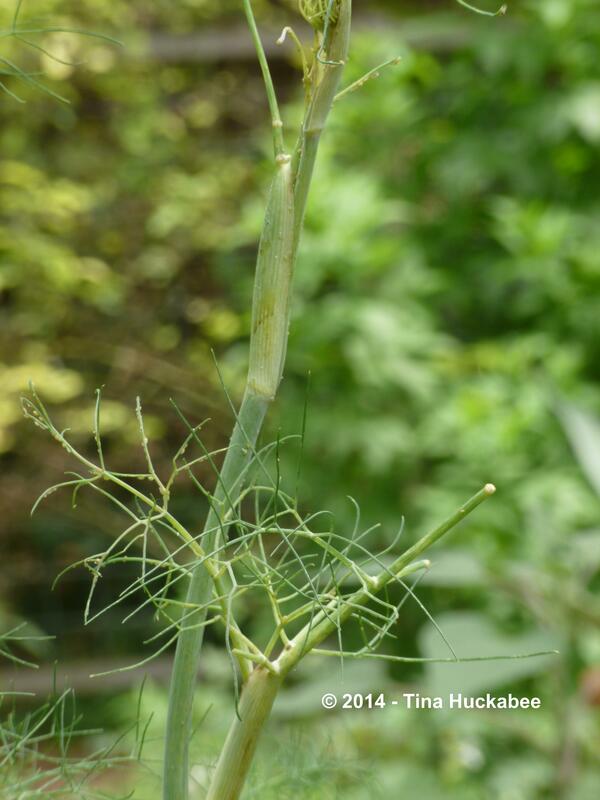 I think those factors explain the exuberance of this Fennel, Foeniculum vulgare. This guy is four and a half feet tall! Where does he think he is? Oregon?? 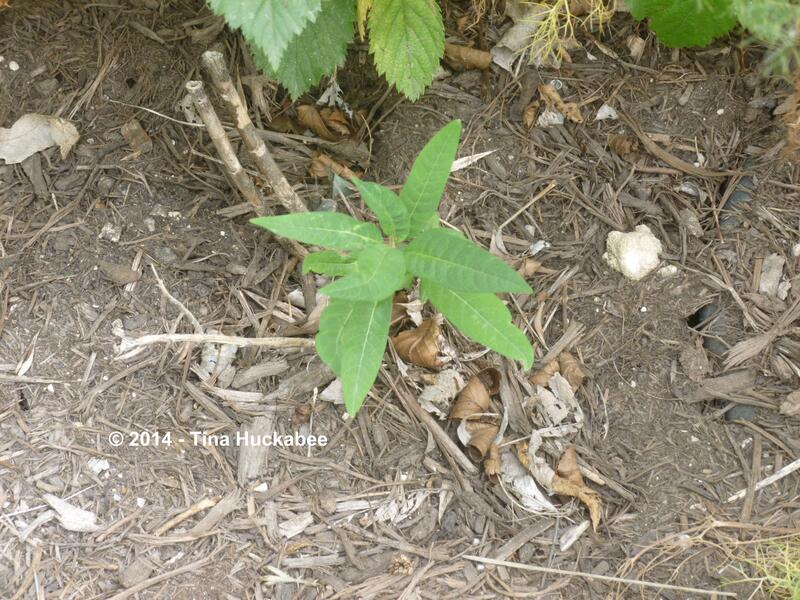 I planted this particular specimen a year or two ago–it’s bumbled along for some time and since last fall, it grew. but usually the large caterpillar transforms into its adult self elsewhere. 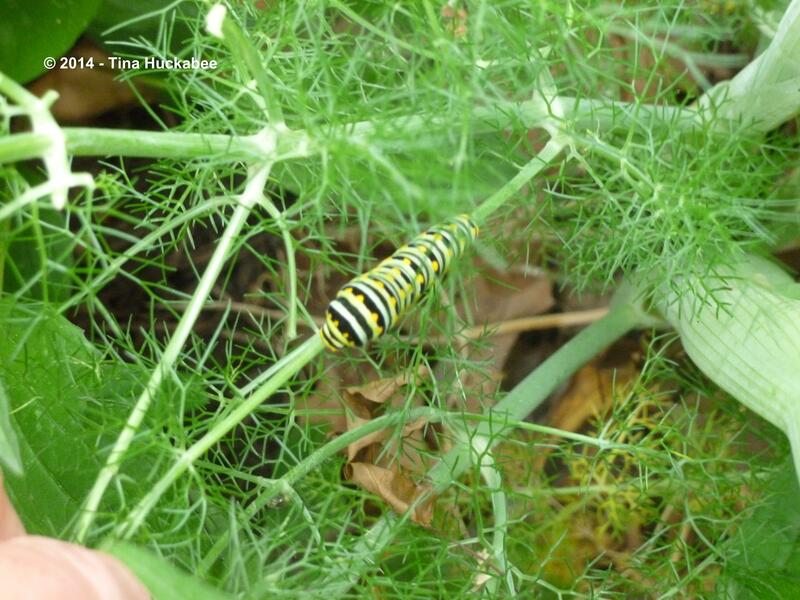 Either way, planting Fennel is helpful in assuring a regular population of swallowtail butterflies. just a few, here and there. 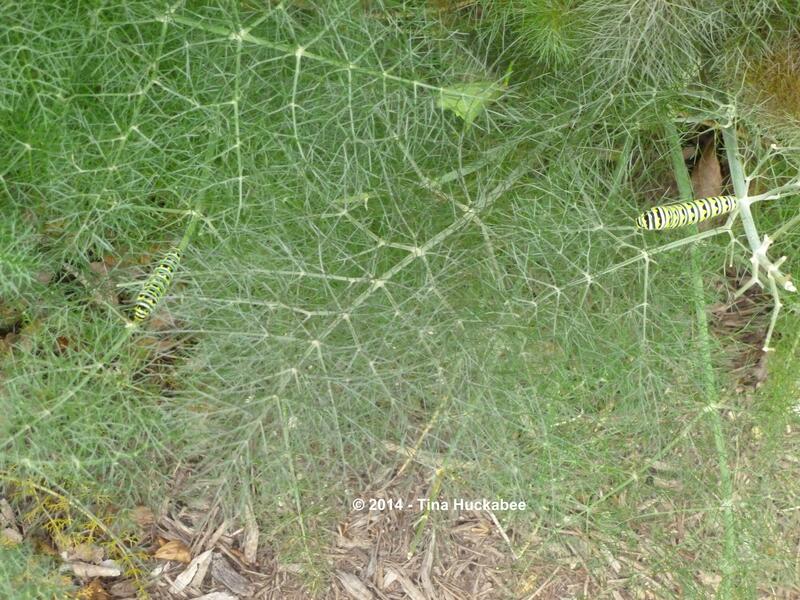 And the caterpillars haven’t eaten the Fennel to the ground. Yet. Though they are efficient at stripping the foliage from the stems. 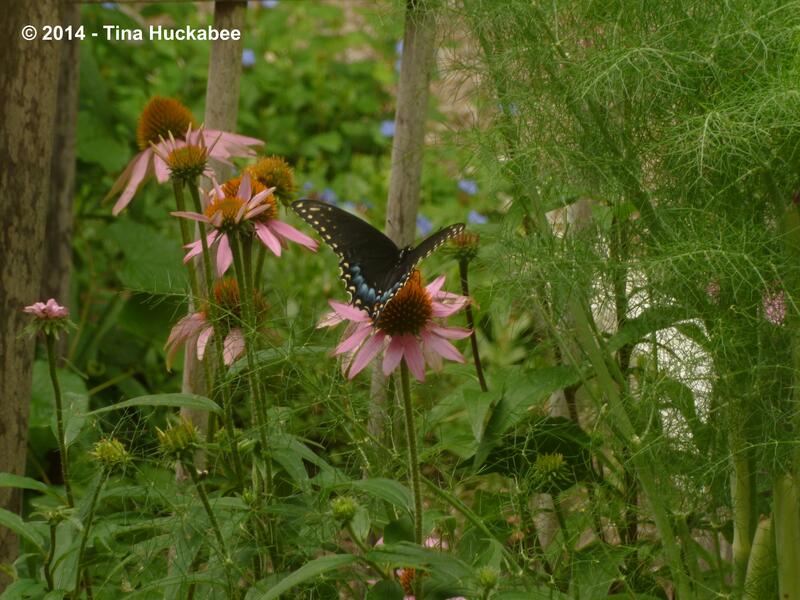 I have a dedicated butterfly garden in a different part of my gardens, as well. I planted these Bronze and Green Fennel for the swallowtails last fall, along with some transplanted Tropical Milkweed, Asclepias curassavica, for the Monarchs. The Fennel has thrived, though the Milkweed froze in the winter and has been very slow to return. Which is just as well as I didn’t spot one Monarch in my gardens during spring migration. Not. One. Monarch. That is scary and sad. 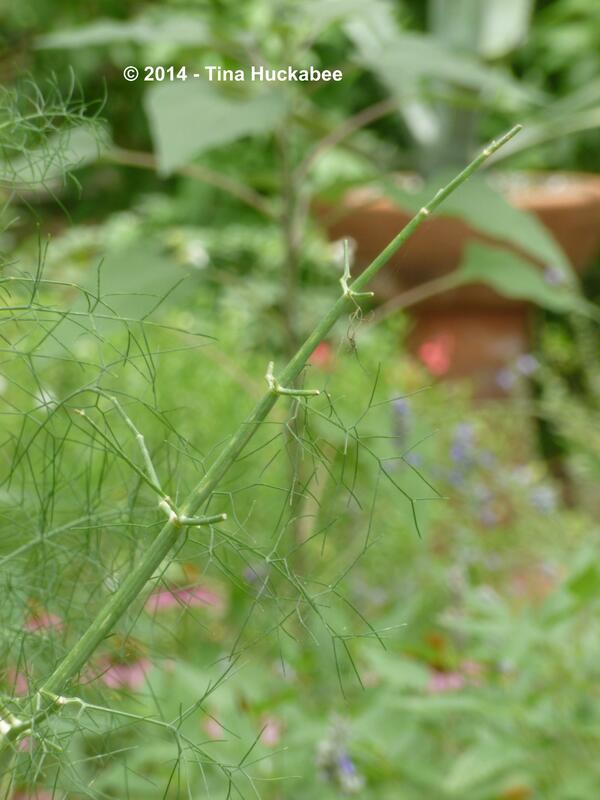 I’m snipping the flower panicles off to keep the Fennel in a growing mode, but summer heat will continue to encourage the bolting process. Fennel has survived summer before in my gardens and if it doesn’t get too hot this year, it could happen again. Time will tell. The Fennel has been beautiful for these past eight months. 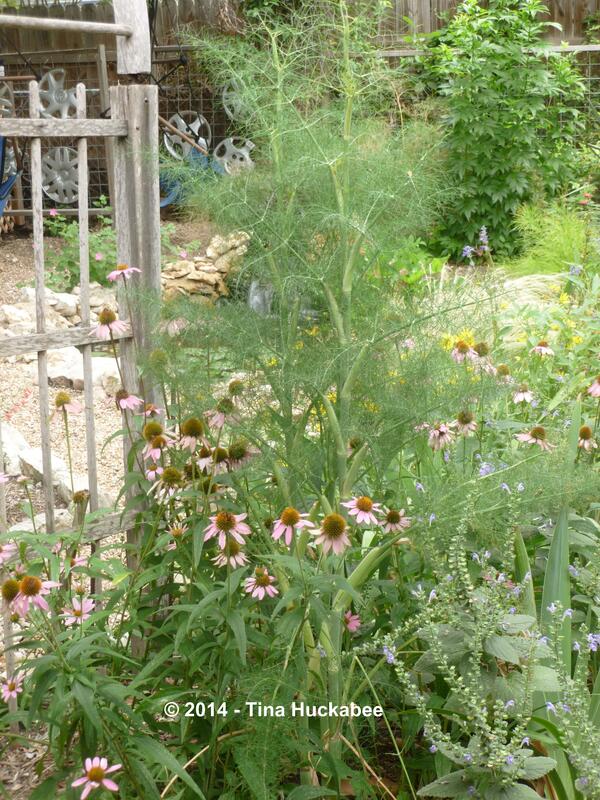 Foliage is the main attraction with Fennel, for people and butterfly larvae. Delicate and lacy–it is also winter hardy, so it’s great to plant in the fall. It can overwinter, grow and be ready for butterfly happenings in the spring and summer. 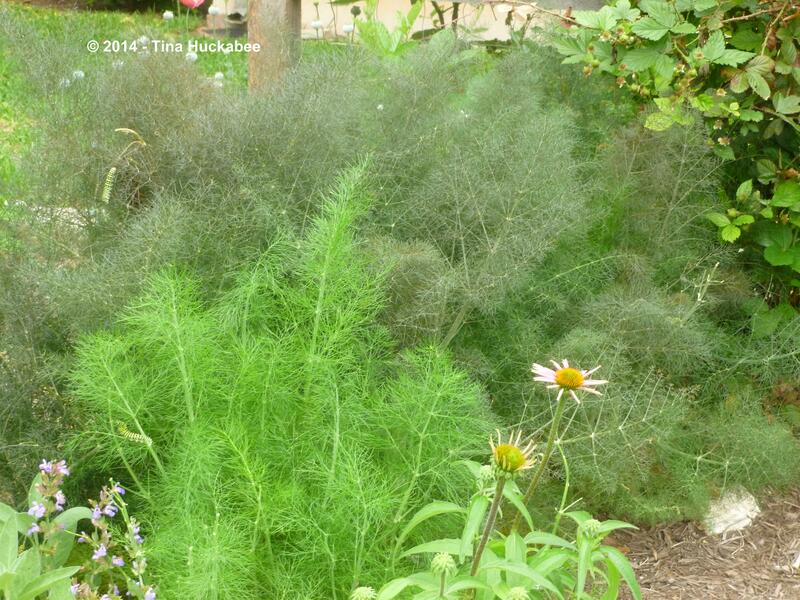 I’m particularly fond of Bronze Fennel and usually choose that variety though I plant both the Green and the Bronze Fennel in my gardens. Butterflies don’t discriminate–their larvae munch on both. 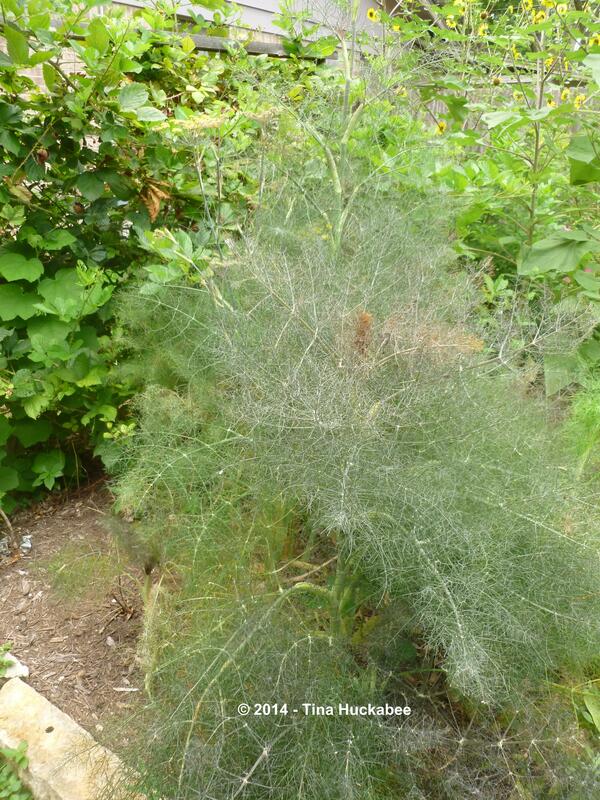 Fennel is a lovely, but unreliable, landscape plant. 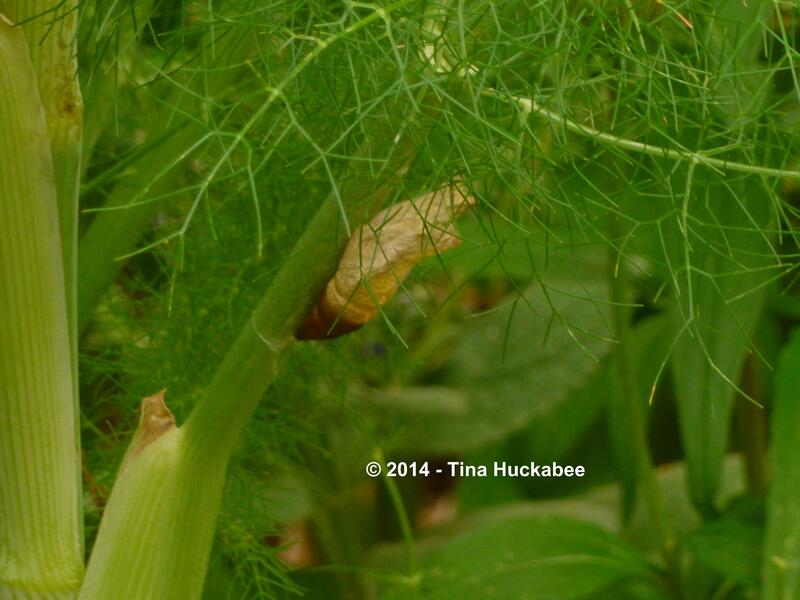 Gardeners must understand that the caterpillars will eat Fennel, possibly to the ground. 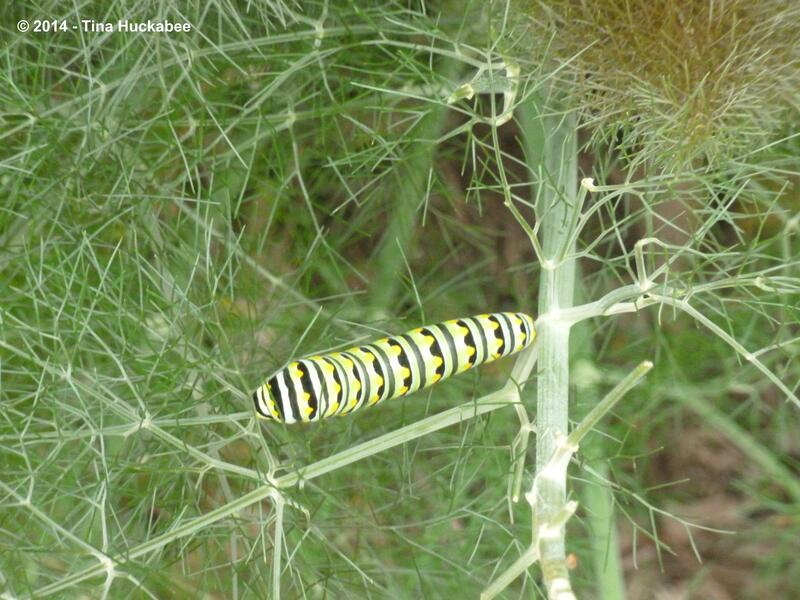 And here in Austin, if the caterpillars don’t trash the Fennel, the heat will. 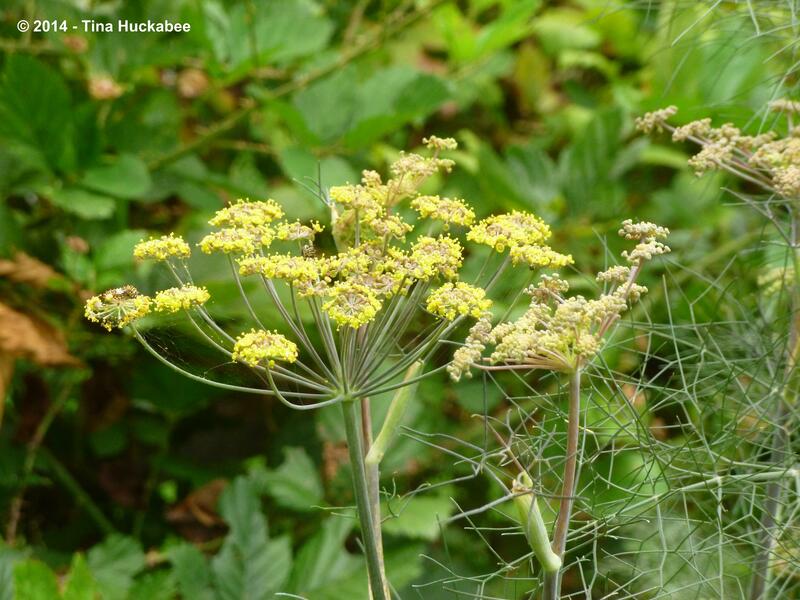 I recommend that if you plant Fennel, be sure to situate it amongst other summer blooming perennials, so that when the Fennel disappears (either because of caterpillars or summer temperatures), there isn’t a gaping hole left in your garden. 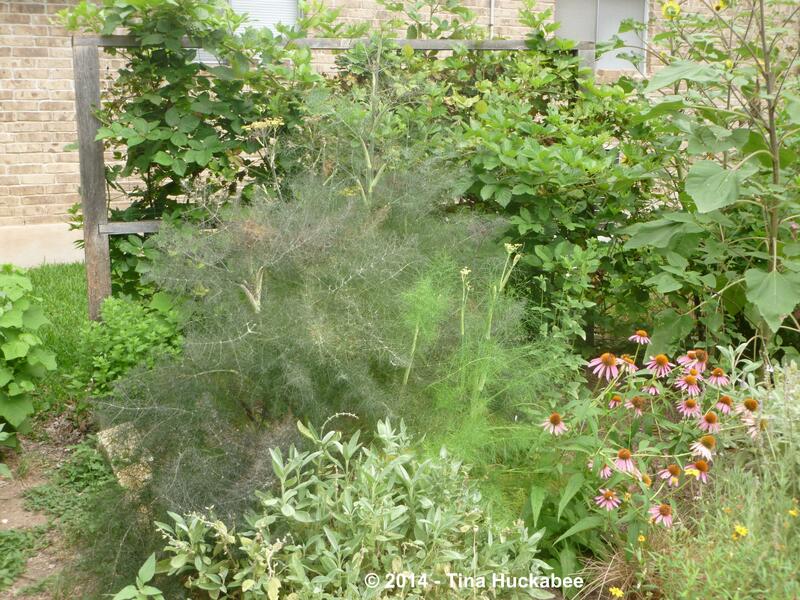 Don’t even think about planting Fennel right now–that would amount to a major garden fail! 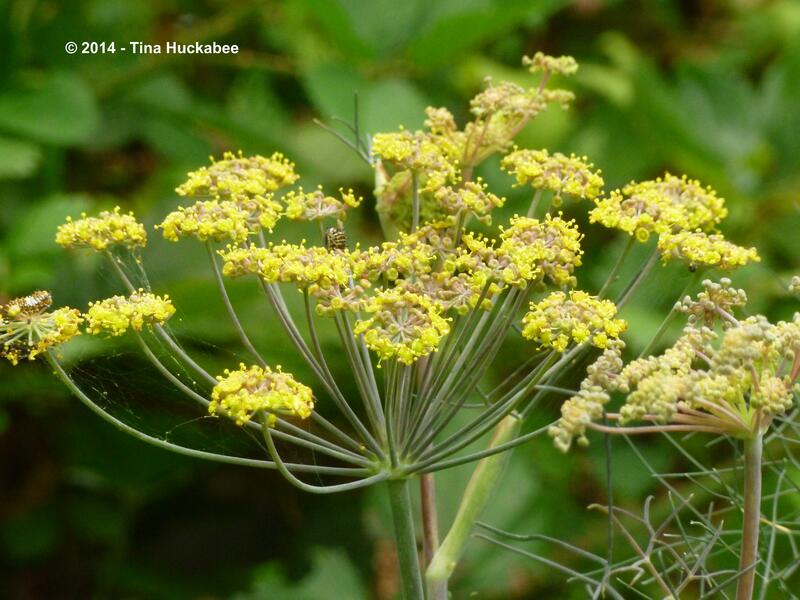 Plant Fennel in your gardens next fall, when it’s cooler and there is some regular rain. In time, you’ll have a beautiful garden addition, some yummy herbs for your salad and cooking pleasure, and an excellent host plant for beautiful butterflies. 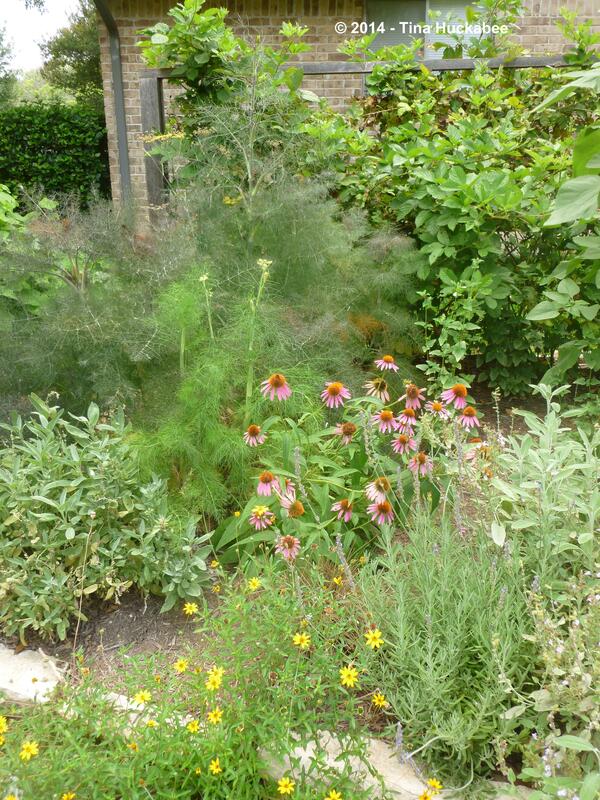 This entry was posted in Asclepias curassavica, Black Swallowtail Butterfly, Bronze Fennel, Foeniculum vulgare, Green Fennel, Swallowtail Butterfly, Tropical Milkweed, Uncategorized and tagged Asclepias curassavica, Black Swallowtail Butterfly, Bronze Fennel, Foeniculum vulgare, Green Fennel, Tropical Milkweed by Tina. Bookmark the permalink. 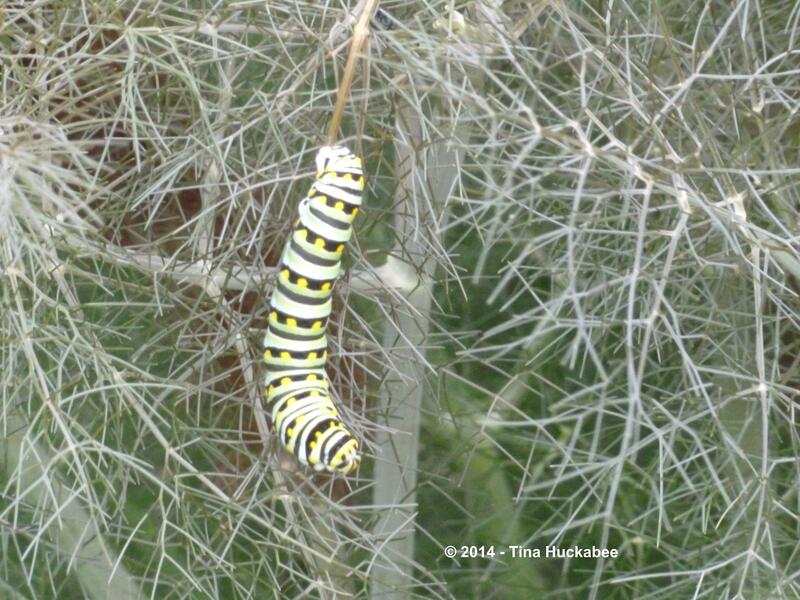 I’ve got fennel planted for the swallowtails as well, but mine has been in the same spot for 4-5 years now. Occasionally it freezes nearly all the way to the ground, but so far it has always come back. It is in part shade and maybe that is what keeps it from crumping out during the hottest part of summer? The years it looks like it will get super tall I put a tomato cage on it to keep it upright. Does yours ever show a tendency to lean aaaalllll the way over? I’ve tried plants in other spots but they never seem to do as well in other places around our yard/beds. Grower’s note: If I can, I let a few stems go all the way to seed each year. Toasted, they are a great addition to a dry rub for pork or lamb. Typically, one branch will lean over, but not the whole plant. Usually, my fennel is eaten to nubs before it can lean, so I don’t really have much experience with fennel getting so large. Your advice about the seeds is sage (not to confuse herbs!). I don’t harvest the seeds, but I should! Wow, I’ve never seen a 4-foot-plus fennel plant before. Nice! We had one that made it through 2.5 years and 2 cycles of swallowtail caterpillars chewing it to the stems. Then this year, after I transplanted it to the new vegetable bed, it got run over and smothered by a runaway crookneck squash plant. Drat! Lesson learned: Plant the fennel somewhere other than the garden box. Especially since we haven’t ever harvested it for use in the kitchen, it makes more sense for us to use it in our butterfly garden, too. Yours looks great nestled among perennials. Love the pics of caterpillars and chrysalis! It’s something, isn’t it! I haven’t had the fennel grow that big in a while. Sorry about your rogue squash (though I’m sure it was delish!) overtaking the fennel. 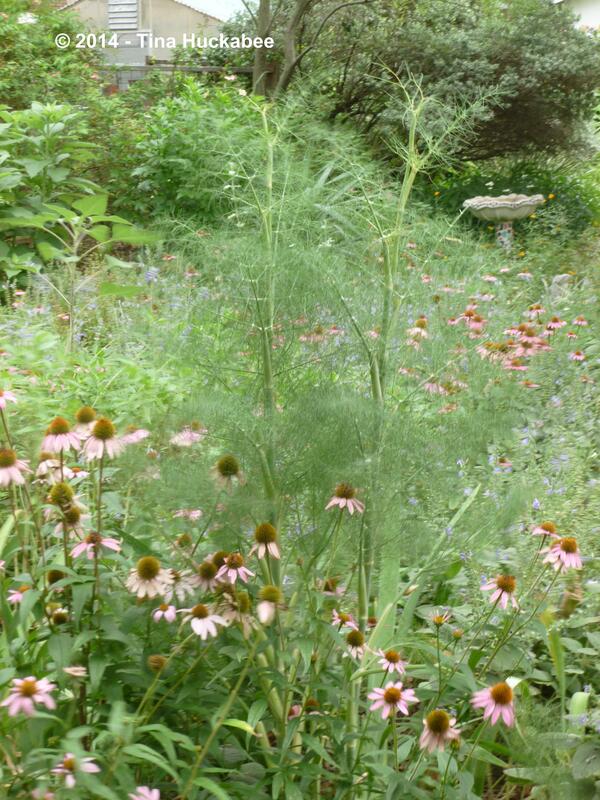 I love fennel in the perennial garden–it just has to be treated as an annual. I like taking photos of caterpillars and chrysalides–they don’t move much! Birds? They’re much harder to take pics of. Yeah, it’s worrisome. Supposedly, they weren’t (aren’t?) in danger, but it’s not good that none, or few, came through. Shirley at Rock-Oak-Deer in San Antonio said she had some, but I never saw any. I hope it’s some weird anomaly and not a harbinger of doom. That really is amazing. I did have bronze fennel that came back after being eaten to nothing last year. However, it never got the message about the cool and rain. Lucky for your caterpillars. Well, I do wish there were more caterpillars, but I’ll take what nature gives.